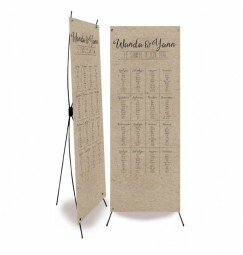 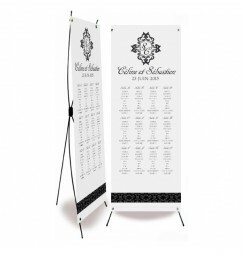 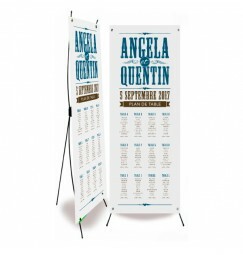 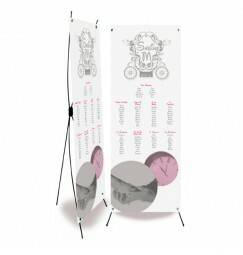 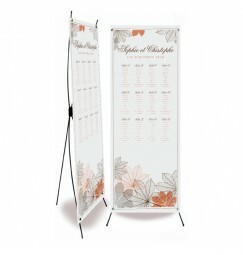 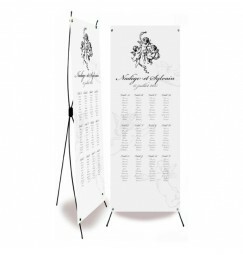 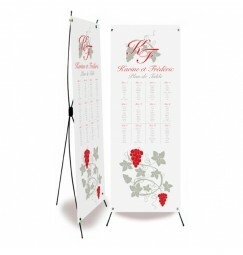 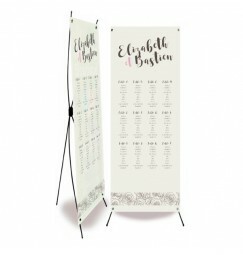 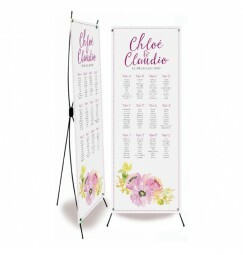 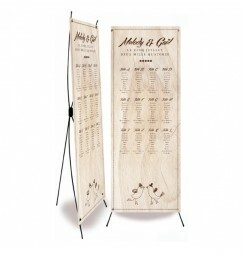 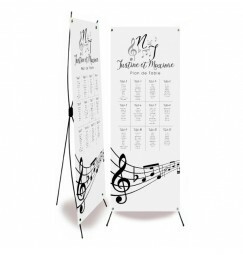 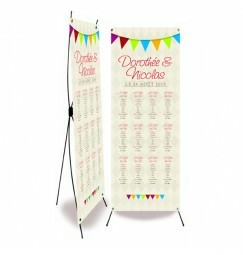 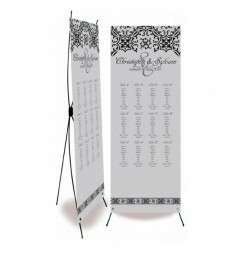 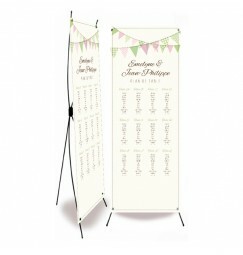 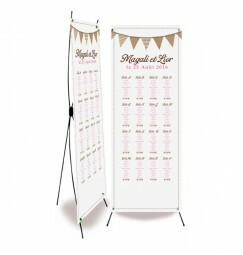 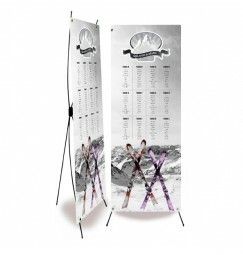 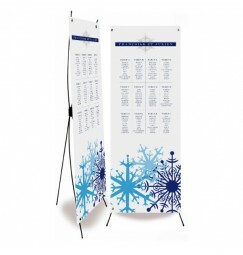 Our wedding table plans or seating plan banners are printed on 190 gr photo satin paper and delivered with the supporting stand. 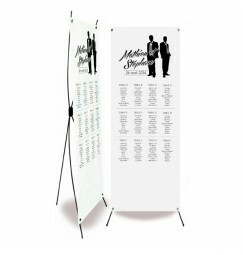 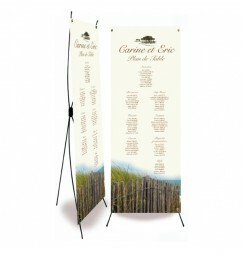 A great way to decorate you wedding reception as well as seat your guests. 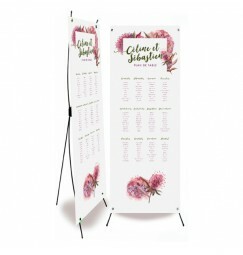 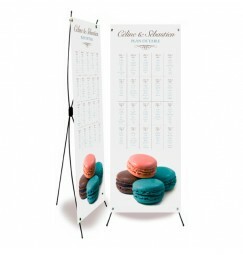 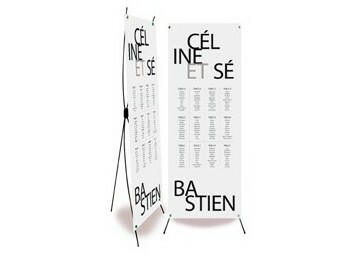 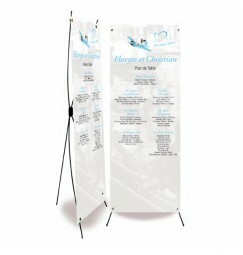 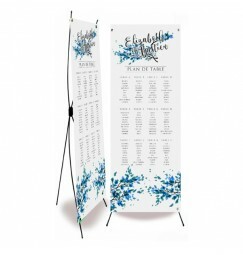 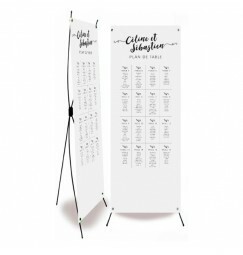 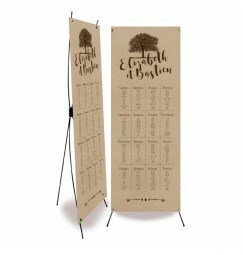 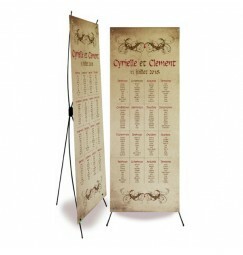 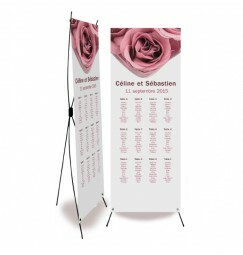 We have wany diferent example on our site and in our boutique in Bordeaux, however we can also create you custom design table plan banner.